Moon And Mountains is a photograph by Paul Quinn which was uploaded on September 2nd, 2018. 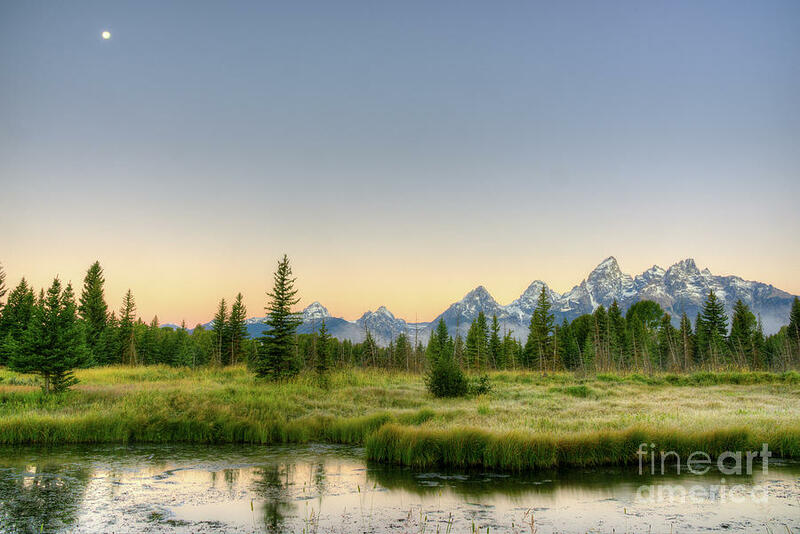 The Teton mountains with the moon in the early morning waters of the Snake River near Schwabacher Landing, Grand Teton National Park, Wyoming. This is wonderful in so many ways! Great shot with the moon and mountains!